Do you have kr 30,000 to kr 3 million to invest in a stellar startup? Pawa's Series A investment open from 5 April 2018 @ 6:30 PM. Click 'Join now' to make your pre-listing of interest with desired investment amount. You don't pay until you are accepted (May 2018). We close funding when number of investors or upper limit funding amount is reached or on 5 May 2018. Pawa's Series A investment round opens 05 April 2018 @ 6:30 PM and closes when funding target is met (no later than 05 May 2018 @ 6:30 PM). 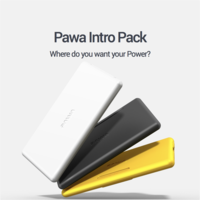 'View online' or 'download' Pawa Investor Presentation. Investing involves substantial risk. Neither the Author, the publisher, nor any of their respective affiliates make any guarantee or other promise as to any results that may be obtained from use of the information herein. While past performance may be analyzed, past performance should not be considered indicative of future performance. No reader should make any investment decision without first consulting his or her own personal financial advisor and conducting his or her own research and due diligence, including carefully reviewing the available information and other public filings of the issuer. To the maximum extent permitted by law, the Author, the publisher and their respective affiliates disclaim any and all liability in the event any information, commentary, analysis, opinions, advice and/or recommendations in the information prove to be inaccurate, incomplete or unreliable, or result in any investment or other losses.